Note – I came across this piece when cleaning up some old directories. I wrote it in 2004 and submitted it to at least one sailing magazine, but it was rejected. 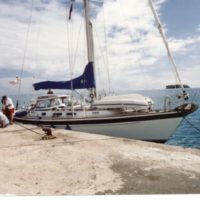 The sailing trip was in May, 2003.